Christmas is coming, and what’s better to celebrate than with a party. And what’s better to celebrate a party than with a Mario Party… well, depending on which one, a lot! Mario and friends are back in Mario Party Star Rush, where this time, everyone can move at the same time. Is Mario still the centre of the party, or will Mario Party Star Rush crash hard (just like Tesco Value booze… don’t drink kids)? Check out the review, after the break! 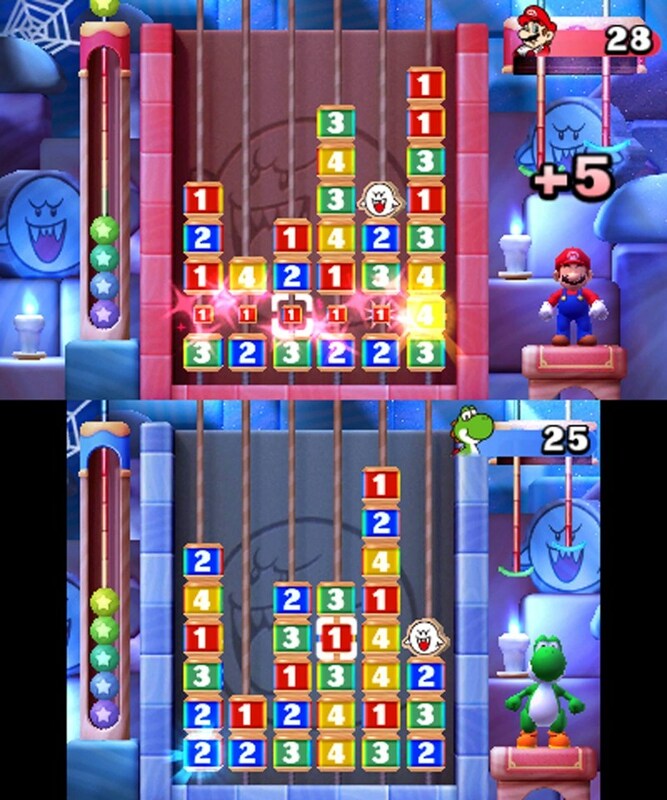 Mario Party Star Rush boasts plenty of different modes, the only thing is, most of them start off being unlocked. Nd Cube add a good incentive for you to try out everything as, the more you play, the more Party Points you get. 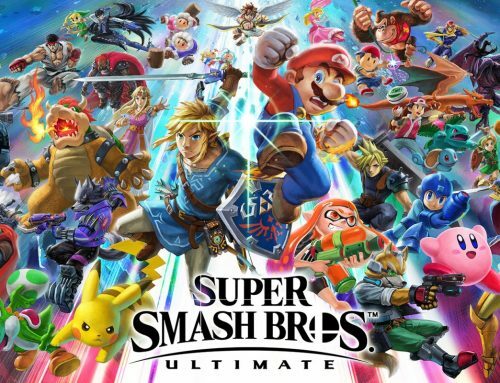 Party Points act as experience, and every rank will unlock a new character, computer difficulty, or mode. As I said before, there are plenty of playable modes in Star Rush. 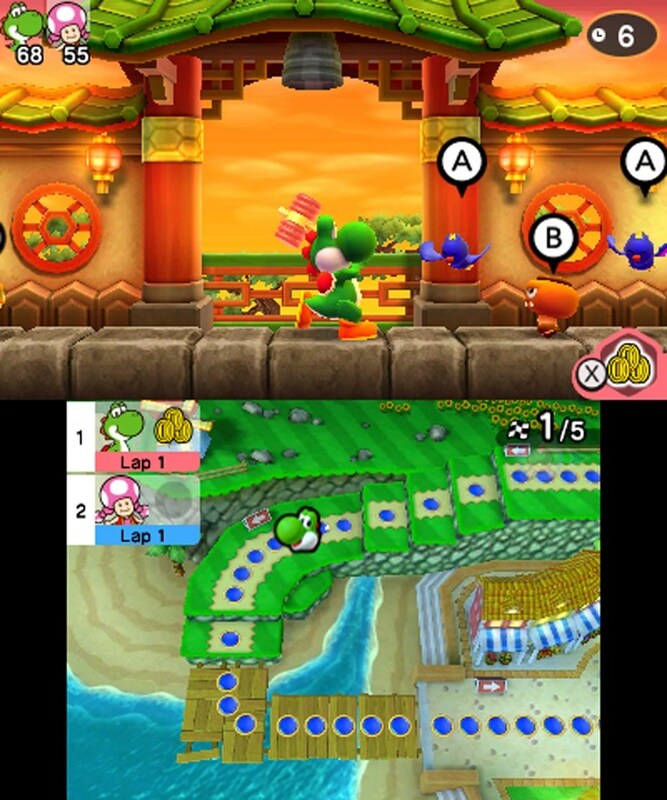 The main mode of the game is Toad Rush, which really switches up the Mario Party formula. Instead of choosing a playable character, you play as a different coloured toad. 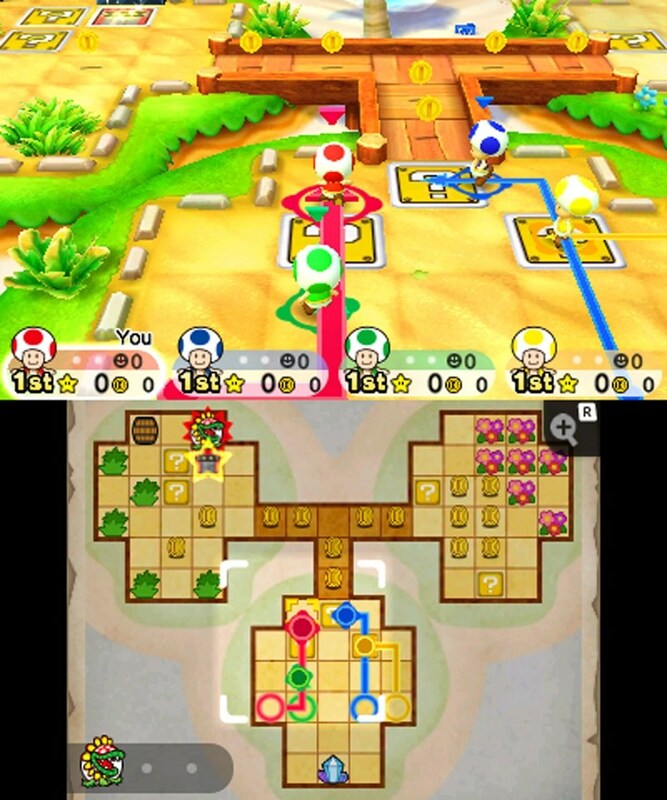 Toad Rush also uses a completely different type of board compared to previous titles. Instead of having a linear pathway, you are presented with a big grid based board. You can literally move in just about any direction at any time. The mode is meant for on the go play as, instead of having to wait for everyone to take their turn, you all move at the same time, reducing the time it takes to play a game. There are five main boards to choose from, each with three different variants and sizes. Instead of having a set amount of turns, you have to defeat a set number of bosses to retrieve stars. 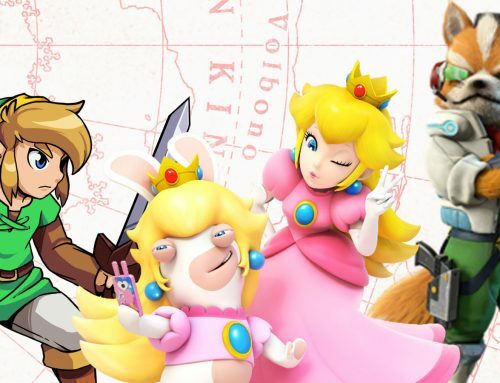 From time to time, you may pass a character from the Mario series, these are ally characters. Ally characters will give you special board and dice effects. For example, Mario can roll any number from 0 to 7 and he can also stomp Goombas hiding in grass. When you have an ally character, each other character will also roll a 0 to 2 dice block, adding more to the amount you can move. A lot of spaces also require you to land on them, rather than pass them, do activate its event. Passing a coin balloon will start off a mini game, where you are able to compete to earn more coins. All these features really add a more strategic stance to the Mario Party formula, but I can’t help but feel that it is still lacking. 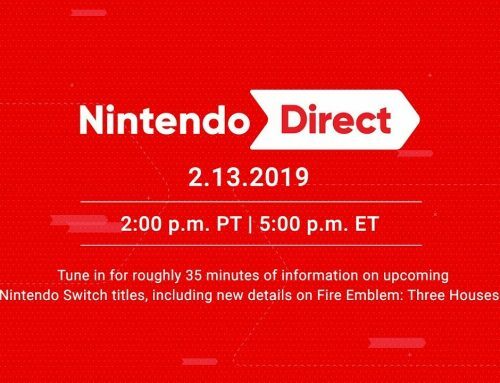 The boards themselves are rather generic, not only is it the same theming you’d expect, but I just don’t get the same excitement I did back in previous games. It just doesn’t feel very creative. The movement can also become fairly tedious on the bigger boards, this is mainly due to the fact that, most of the time, the mini games are far and few. Coinatholon is probably my favourite mode in the entire package. Here, your characters are placed on a giant looped board. Once the game starts, you will loop through three different long mini-games to collect coins; the more coins you collect, the more spaces you travel. You can also use items to defect your opponents. The winner is the player who reaches the finish line first after a set number of laps. This is a great mode when you want a quick game, it’s especially more fun with other players. The only issue is that there are only a small amount of Coinatholon games, so after you have played a few rounds, it can get boring fairly quickly. 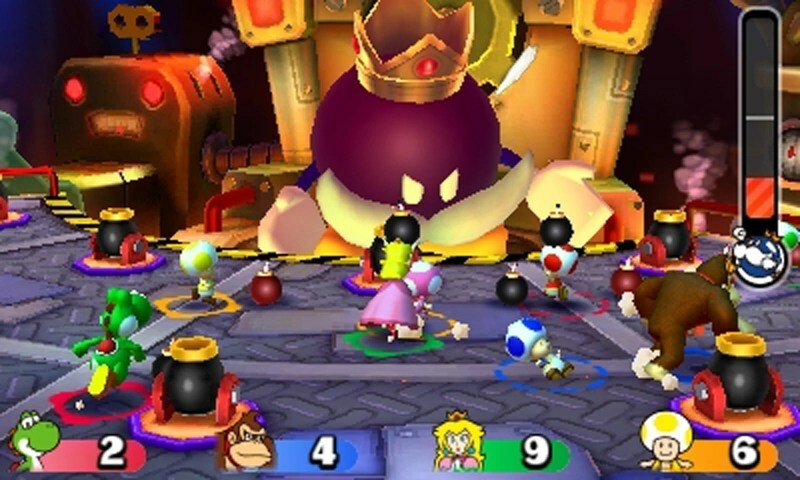 Balloon Bash pits players against each other to collect coins from mini game balloons, and to spend said coins on stars from the star balloons. The boards are very similar to those in Toad Rush, though they are smaller and have no theming whatsoever. Luckily, you will be playing mini games more often as more balloons will appear on the stage. Once again, however, after a few plays, it can become pretty boring fairly quickly… seems to be an ongoing theme. Up next, is Rhythm Recital. A fairly simple mode actually. Think of it like Guitar Hero, with only one input. There are nine songs to choose from (ten if you tap the Dr. Mario Amiibo), all of which are from a previous game. You can then choose one of four instruments to play, and all you have to do is to tap the screen in time with the icons that appear. 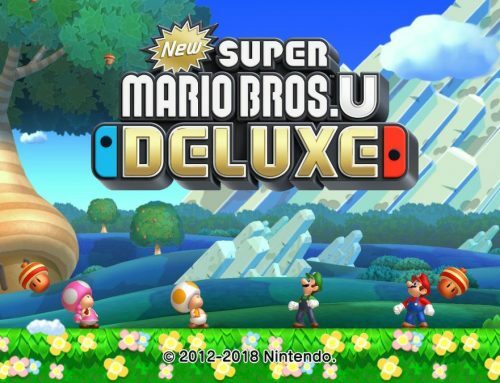 It’s a nice little mode to listen back to some of Mario’s previous adventures, but other than that, there is very little that will bring you back. Mario Rush is an interesting mode that pits two teams of three characters against each other. The aim of the game is to get all three of your pieces to the other side of the board first. You roll two dice and each die represents how many spaces two characters can move. For example, if you roll a two and a three, you can move one character two spaces, and a separate character three spaces. Landing on certain spaces will advance you even further, or even send you back. 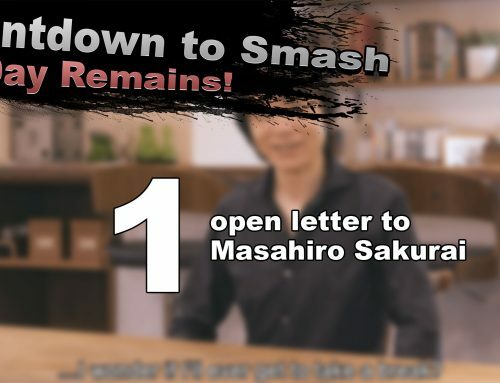 Passing an opponent character will make that character loose a turn, landing on them will send it all the way to the beginning. 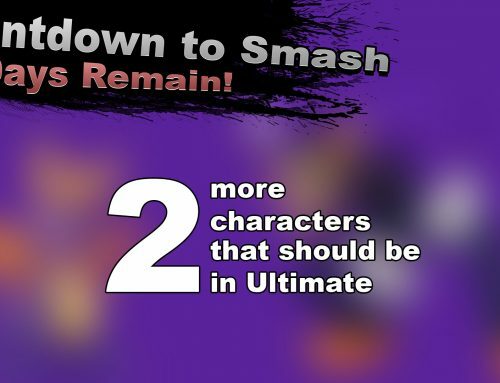 It’s a pretty fun mode that requires you to really think about which characters take the most benefit of moving, taking into account what your opponent could roll to avoid getting sent back. There are no different rules or boards to play, so, once again, it is very unlikely you will return to this mode often. It wouldn’t be a Mario Party without a blocky puzzle game, and Boo’s Block Party is there to serve your puzzling needs. Essentially, it’s a match three game. You have to rotate numbered blocks to create matches of three or more vertically or horizontally, none of that L shaped faff. Once you have matched enough blocks, they will get sent over to your opponents board. The game ends when a block reaches beyond the top of the board. It’s a neat little mode which can help to give yourself a break from regular gameplay, even if it is just a short while. The Challenge Tower is a pretty fun mode to play. 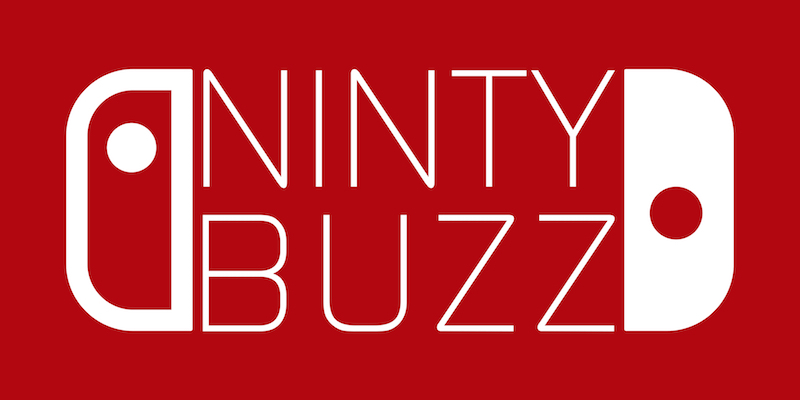 It is essentially a new version of minesweeper. You are tasked with climbing a tower of LED blocks. When you move onto a new space, it will change colour from black. Blue means that all adjacent spaces are clear to go, yellow means that there is one amp Amp adjacent to that space, red means that there are two Amps, and purple means that there are three Amps that surround the space. You can choose to climb 30 floors, 50 floors, 70 floors, or even 500 floors (once you have unlocked it of course). If you’re like me, and love a bit of cheeky minesweeper, then you will most likely love the Challenge Tower, it’s just a shame that there is no endless mode. Of course, if you just want pure mini game action, then you can play any mini game you have already played in the other modes in Free Play. The big issue here however is that Star Rush includes a worryingly low number of mini games at 53 mini games. This is even less than Island Tour, the previous 3DS Mario Party outing, which had 82 mini games. Star Rush has three different options for multiplayer: Download Play, Download Play via Party Guest, and Local Play. Download Play, like always, limits what modes can be played with people who do not own the title. 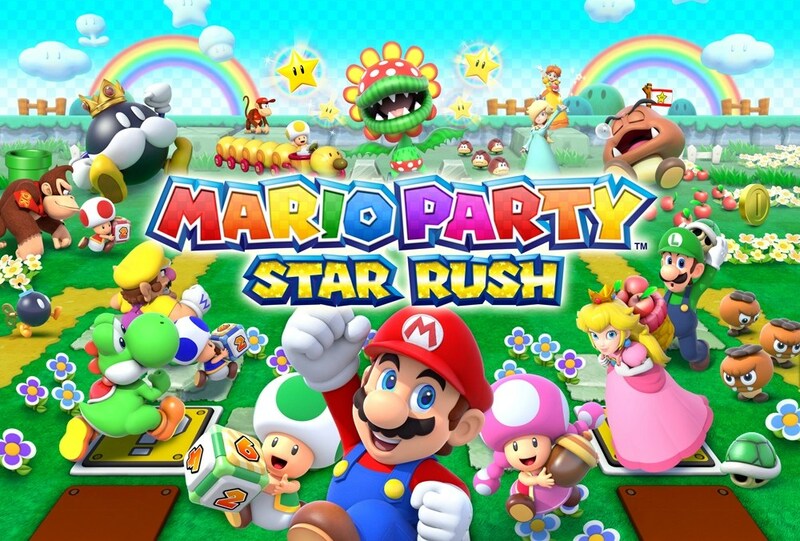 However, the players who do not own Star Rush can download the Party Guest app, this allows you to play everything you can play in Local Play, kinda making regular Download Play redundant. 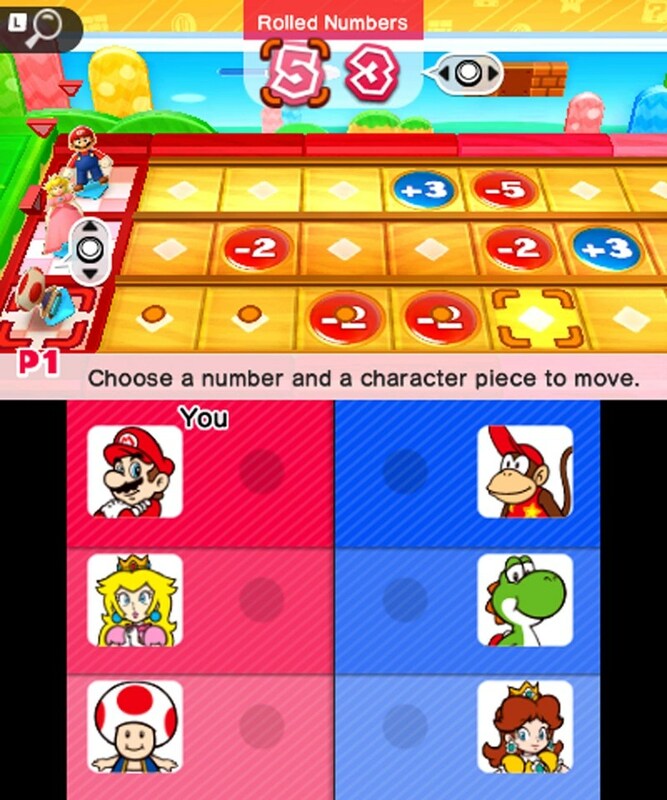 Overall, Mario Party Star Rush is a very interesting Mario Party package that includes a large amount of unique modes. Being able to move all at once in just about any direction adds some depth and strategy to the gameplay, and is largely suitable for portable play. 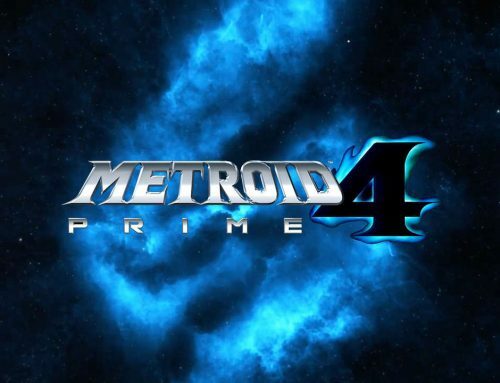 Unfortunately, very few of the modes are actually worth playing more than a couple times, some of the gameplay becomes incredibly tedious, and there are very few mini games available to play. 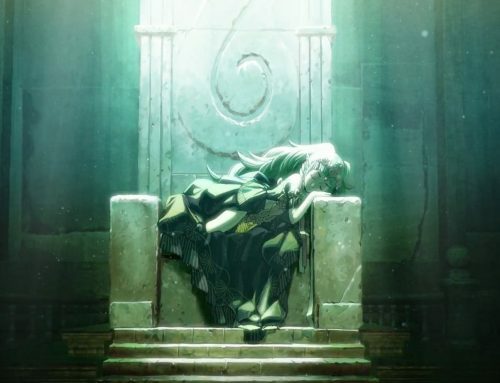 It’s an okay game though I doubt many people would keep going back to play again and again. 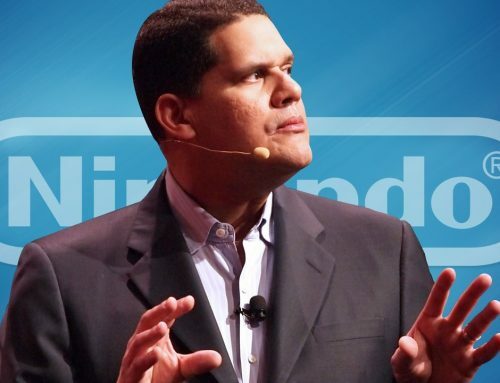 We’d recommend that you think about it before purchasing Mario Party Star Rush, and possibly wait until the game is on sale before purchasing. 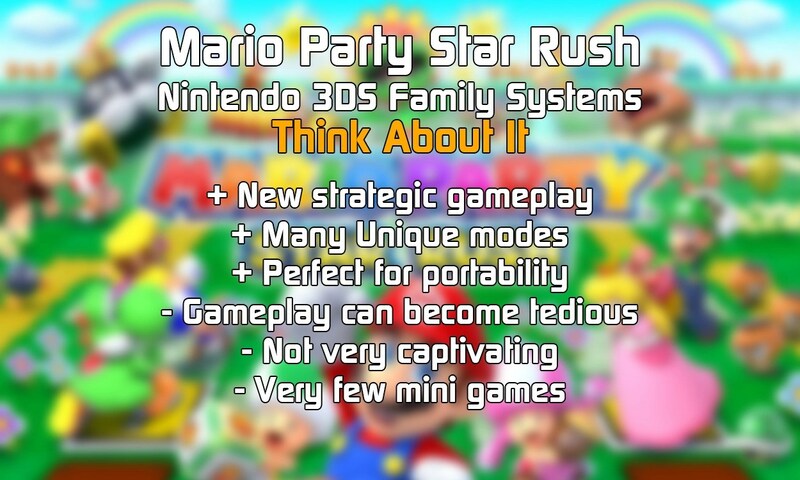 Mario Party Star Rush is out now for Nintendo 3DS Family Systems!